The GTP-805A features one port and is a Mid-Span IEEE 802.3at High Power over Ethernet unit that meets demand for network equipment that requires high power. This unit is a ideal choice to deliver both power and data to network devices through the RJ-45 Port interface without additional cabling or installation costs. The distance between the PoE PSE and the powered device is 100 meters. 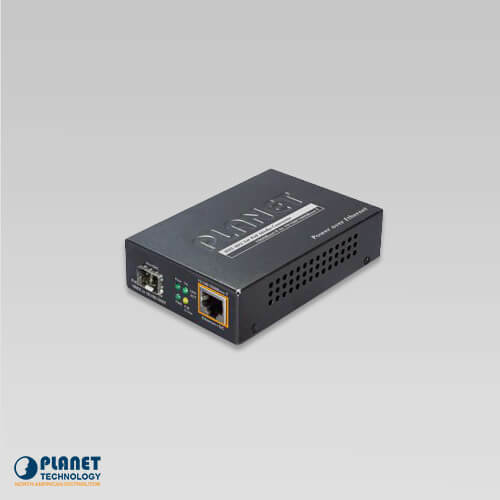 The GTP-80x features a Fiber interface which allows for even greater network deployment. 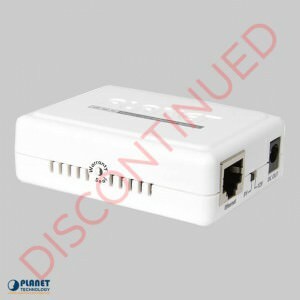 The GTP-80x PoE+ Media Converter can efficiently convert optical Ethernet signal to electrical Ethernet signal. This permits two segment types to connect with ease. The GTP-805A has the ability to convert 10/100/1000Base-T signal to 1000Base-X one and offers a selection of fiber connection types. The GTP-805A supports long Fiber distance and keeps the transmission performance as high as 1000Mbps. 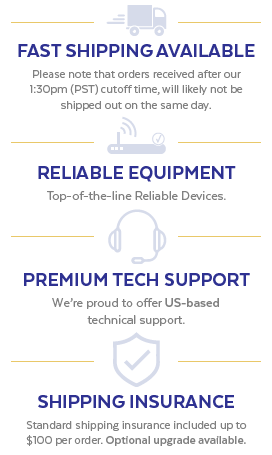 The unit operates in high performance Store and Forward mechanism, and effectively operates to prevent packet loss with LLCF/LLR functions. In addition, the unit quick notifies administrators issues from the link media and offers a sensible solution to monitor the network. 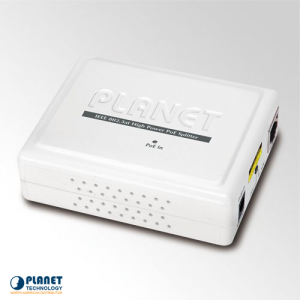 The GTP-80 series from Planet Technology offers DC 52V power over Ethernet cables. 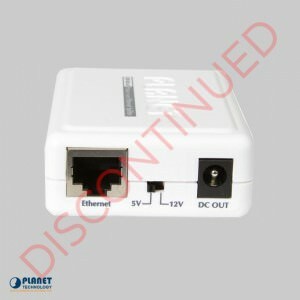 The unit permits the cable between the PoE splitters to transfer data and power at the same time for up to 100 meters. The unit then works to split the digital data and the power into either 5VDC / 12VDC outputs. This operates to reduce cables and specialized electrical outlets. 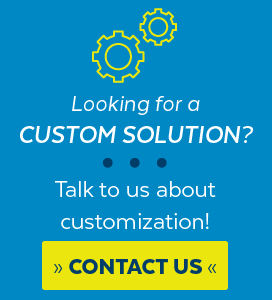 This innovative technology cuts down installation costs and allows for deployment of various applications without the restrictions of cables.